Two daughters of a soldier. 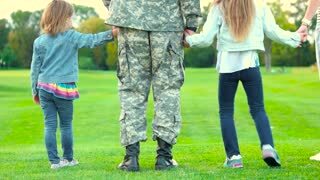 Close up back view military father with kids standing together. Army soldier reunited with wife, close up. Caucasian military man with girlfriend, back view. Close-up of soldier legs in old army paratroopers combat boots walking in dusty ruined building during military anti terrorism training. 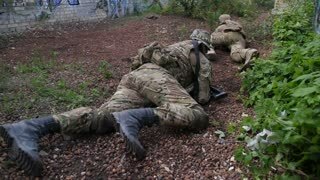 Special force rangers in action storming enemy building. 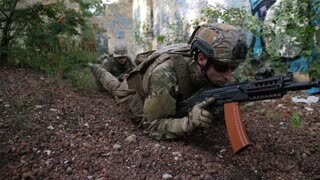 Close-up of special forces soldiers legs in army boots running in abandoned building during tactical exercises. 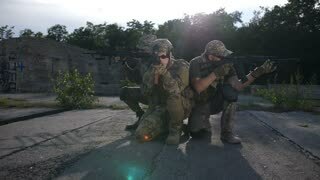 Special trained rangers running to free hostage during military training. 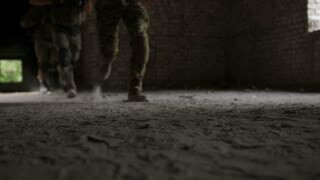 Close-up of army soldiers legs in old combat boots running into dusty building during military operation. Side view. Elite squad of marines in uniform invading the building captured by terrorists. 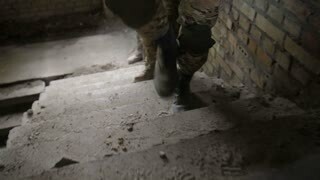 Closeup of special forces soldiers feet in army boots climbing up dusty stairway in abandoned building during military operation. Squad of army soldiers jumping target in building occupied by enemy. Close-up of army soldiers legs in old paratrooper boots running through dusty ruined building during military operation. Squad fully equipped and armed soldiers running forward and attacking enemy. 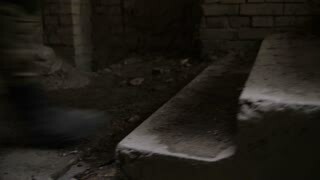 Closeup of special forces marines legs in old army boots climbing up dusty staircase in ruined building captured by enemy during military operation. Elite squad of army soldiers storming the building. Special forces marines with weapons and tactical devices crawling toward an enemy position during military training. Squad of soldiers sneaking up in enemy territory during anti terrorism training.